Clogged dryer vents are more than just an annoyance. Over time lint, pet hair, and other debris can cause a clogged dryer vent. You can still get a clogged vent even if you’re diligent about cleaning the lint trap after doing laundry. A clogged vent can be a very serious problem that can even result in a dryer fire. 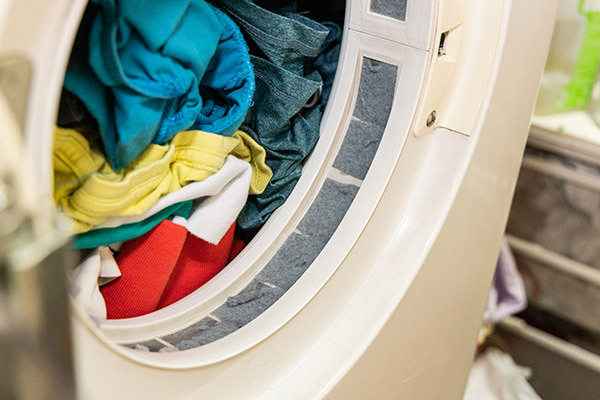 According to the National Fire Protection Agency, there are more than 17,000 home fires each year caused by dryers. Keeping an eye on your dryer vent and making sure that it doesn’t get clogged is essential for home safety. There are some signs that your dryer vent is clogged that you should be aware of. If you notice any of these signs you should get your vent cleaned out immediately. This will help to prevent a dryer fire in your home. Are you noticing that your clothes are taking longer to dry than normal? That is usually an indication that you might have a dryer vent clog. The amount of time it takes for you clothes to dry is directly related to the air flow through the dryer’s vent. If you are putting normal size laundry load is requiring multiple drying cycles you may have a vent clog. Getting your dryer vent cleaned is the best place to start. The dryer exhaust on the outside of the house should be open when the dryer is on. This is something that you probably won’t notice unless you go outside looking for it. You can tell when it’s open because there is a flap on the end that should be moving. If it’s not opening that could mean that your dryer vent is clogged. Having a professional check that exhaust and clean out the vent is best if you notice that the exhaust flap isn’t opening like it should. The next time that you dry a load of laundry put your hand on the outside of the dryer. Touch the side of the dryer, not just the top, and check if there is any heat. If you can feel heat on the outside of the dryer then you could have a clog forming in the vent. When you start to dry a load of laundry do you notice the laundry room gets warm? If you notice a temperature change in the laundry room when you’re running the dryer there is a dryer vent clog that needs to be cleared right away. Most homeowners these days have a combination smoke detector and carbon monoxide detector. If your carbon monoxide detector goes off when the dryer is on there is a dryer vent clog that is causing carbon monoxide to leak into the room. This is very dangerous and you will need to have the vent cleaned out immediately for safety. If you suspect you have a dryer vent clog install a carbon monoxide detector in the laundry room. Then when you run the dryer check to see if it goes off. If you’re concerned you have a vent clog you should get the vent cleaned to be on the safe side. Unless you’re sitting around a fireplace, burning smell in your home is never good. Especially when it comes from your dryer. If you turn the dryer on and notice that crisp burning smell turn the dryer off, unplug it, and call a professional to come and clean the dryer vent right away. When laundry comes out of the wash it usually smells fresh and clean. If you put clean laundry into the dryer and it comes out of the dryer smelling musty or you notice a moldy smell inside the dryer that’s a good indicator that there is a dryer vent clog. 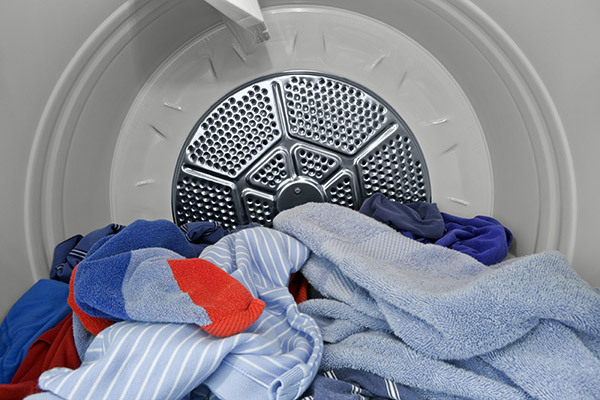 Call a professional to clean out the vent before putting any more laundry into the dryer. There will typically be some signs that your dryer vent is clogged before the dryer quits working. If you see some of the signs mentioned here you should plan on getting your dryer vent professionally cleaned out. If your dryer just stops working don’t put off a professional dryer vent cleaning any longer. Call and schedule an appointment to have a professional clean the dryer vent so that you are not at risk for a house fire due to a clogged vent. If you have kids or pets you’re probably used to seeing a lot of lint in the trap after a load of laundry. Some items, like bedding, will always have a lot of lint and hair on them. You might see more lint after washing towels or linens. If you notice that the lint trap is clogged with lint when it normally wouldn’t be you need to have your vent cleaned right away. The best way to prevent a dryer fire is to get your dryer vent cleaned regularly. With regular cleaning and maintenance, you won’t have to worry about a dryer fire caused by a clogged dryer vent. If you have an older dryer making sure the dryer vent is clean is more of a concern than if you have a newer one. New dryers that are all electronic and have keypads and digital displays will usually display a code or a warning when the dryer vent starts to clog so that you’ll know it’s time to get the vent cleaned. If you want the peace of mind of knowing that your dryer vent is clean you should get it cleaned out twice a year by professionals. Getting the dryer vent cleaned once in the spring and once in the fall should be part of your annual home maintenance if you want to lower your risk of a fire. Keep your dryer in working order by cleaning out all lint and debris from the lint trap after every cycle. You should also have regular inspections and dryer cleanings to prevent a dryer fire. If you need your dryer vents cleaned you can count on Early Times. We’re here to make sure your home is safe and clean. Get a free quote now and see why thousands of homeowners have trusted us for over 30 years.